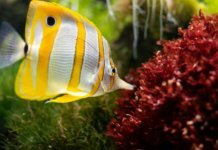 Algae can be the worst nightmare of both beginners and experienced aquarists. It’s persistent, unsightly, and you usually won’t notice it until it’s too late. A UV sterilizer is a great tool to control the spread of algae, parasites, and other microorganisms. In this review, we reveal our top 5 best UV sterilizers with the best performance, value, and quality. Our best pick for all aquariums up to 50 gallons. Prolonged water exposure to UV light. LED indicator notifies when it’s time for a bulb change. Extremely powerful lamp. Water flow “twists” inside the UV sterilizer, prolonging exposure to the light. Good price-to-quality ratio. Good economical choice for aquariums up to 75 gallons. 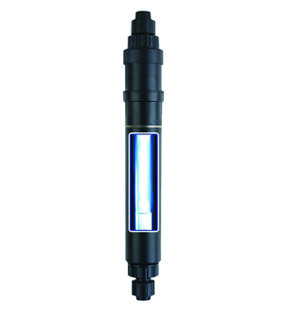 A good UV sterilizer for ponds or larger aquariums. Can handle bodies of water up to 2,377 gallons. Has a pump. Good price-to-quality ratio. 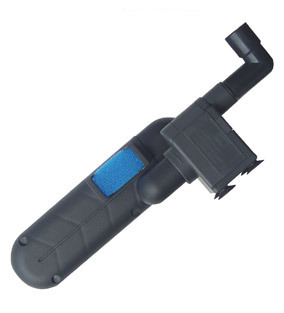 Can be installed to most canister filters, power heads or water pumps. The best performers in our review are the Green Killing Machine, the Coralife Turbo-Twist UV sterilizer, and the SUN-SUN JUP-01. 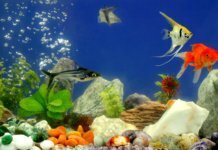 Here is some information on choosing the best UV sterilizer for your aquarium, along with a detailed review for each product we chose. UV light can be deadly to bacteria, parasites, and other microorganisms. Generally, the higher the wattage of the UV bulb, the better the sterilization. Bulb effectiveness decreases as time passes, and you’ll usually need a replacement bulb once every several months. Contact time is an important factor to consider when choosing a UV sanitizer. The longer the exposure to the lighting, the better the effectiveness of the sterilizer. Many UV sterilizers apply zig-zag or “twisting” designs that will prolong the contact time. Aquarium UV sterilizers come in various shapes and sizes; some are hang-on units, and can be installed to the back of your aquarium. Many can be attached to the tubing of your fish tank filter and they sterilize the water right as it leaves the filter. Some models can be used as both. Among other thing, we paid special attention to versatility when reviewing our 5 best UV sterilizers. We liked: The “zig-zag” water flow prolongs contact with UV sterilization light. Easy setup. A personal favorite, and our #1 best UV sterilizer in this review. We found the “Green Killing Machine” to be very effective at eliminating all kinds of algae. Our experiences have been positive, and many owners that we surveyed claimed it could clear up a severe algae infestation in a matter of days. This aquarium UV sterilizer has an output of 9 watts, and is suitable for tanks up to 50 gallons. It functions as both a powerhead and a water sterilizer. Installation is simple and easy. The unit is fully submersible, and should simply be clipped to any waterfall-type filter to be ready to use. Water passes through the sterilizer body in a zig-zag fashion, ensuring more contact between bacteria and the bulb. Finally, a LED light signals when it’s time to replace the UV bulb, ensuring that you don’t accidentally forget about it. We liked: Powerful UV lamp. Its flow “twists” around the lamp, prolonging contact time. We didn’t like: Requires pump to work. Our best UV sterilizer for larger aquariums. A proper heavyweight, the Turbo-Twist UV Sterilizer has a 36W lamp and can handle freshwater and marine aquariums up to 500 gallons. 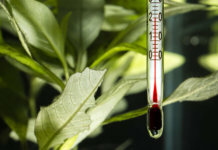 As the name implies, this sterilizer “twists” the flow around the UV lamp, increasing the exposure of algae, parasites, and other microorganisms. 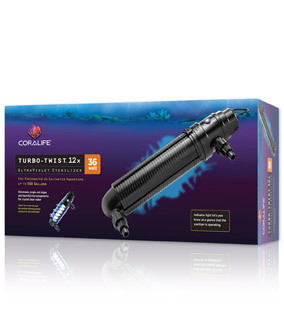 Coralife’s Turbo-Twist can be used as both a hang-on sterilizer, and an inline sterilizer. Mounting brackets are included for hang-on use, while the 5/8″ and 1″ barbed inserts can be connected with your filter tubing. Setup is easy, and an indicator light allows you to always monitor the sterilizer’s operations with ease. The biggest issue we had with this UV sterilizer is the lack of a pump. It requires a water pump between 300 – 900GPH to run, but one needs to be bought separately. When the price of a water pump is taken into account, this UV sterilizer can easily be considered expensive by some buyers. Still, its versatility, construction, and performance are above most products that we’ve tried. We believe it has great value for the price, especially if you own a very large aquarium. We liked: Good price to quality ratio. Versatile. We didn’t like: Doesn’t match the quality of some other models. If you’re looking for efficiency, but don’t want to spend a fortune on aquarium supplies, anything from SunSun is usually a solid choice. When we weighed performance with the price, we found that this UV filter offers good value for the money. It’s suitable for aquariums of up to 75 gallons and has a flow rate of up to 210 gallons per hour. The UV bulb has power of 9 watts. It can be used as both an aquarium sterilizer, and a pond UV sterilizer. We found the setup process to be very easy – the unit is submersible, and can be placed both in a sump, or directly into the aquarium. A large sponge catches any dirt and debris before the water is exposed to the UV light, ensuring more exposure and efficiency. We liked: Extremely powerful. Great for aquarium use, or as a pond UV light. We didn’t like: Somewhat bulky. We didn’t find it suitable for small aquariums. 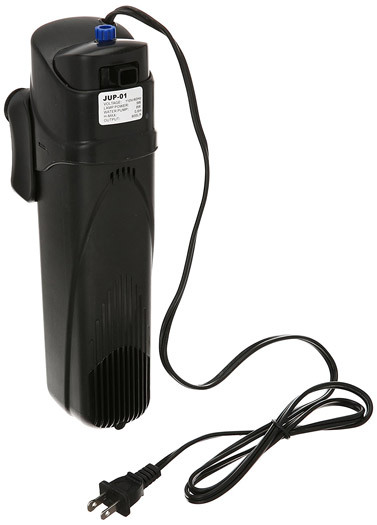 A very powerful pump with a decent 13W bulb. AquaTop’s UV sterilizer pump is suitable for bodies of water up to a whopping 2,377 gallons, and has a flow rate of 528 GPH. It’s suitable for both marine and freshwater aquariums and can be used as a pond UV sterilizer as well. We found the whole construction to be well-constructed and durable. The materials seem sturdy – just remember to change the UV light once every several months. The unit doesn’t require any additional tubing to work – the built-in pump takes care of the water flow. 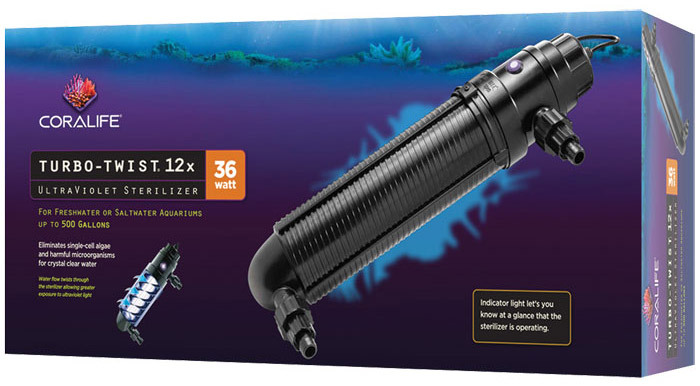 Simply submerse the UV sterilization unit in your aquarium or pond, and it’s good to go. The power cord is 16 feet long, ensuring easy placement. Fitting the unit in smaller aquariums may be tough, though – its body is 12,5″ tall. 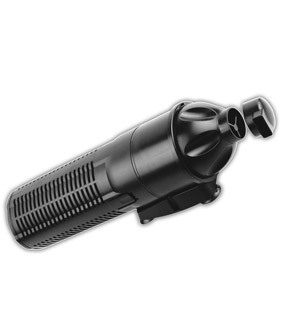 Considering its size and powerful flow rate, we wouldn’t recommend the UVCP-13 for small and medium-sized aquariums. However, it’s a great choice if you own a large fish tank or a pond. We liked: Good price to quality ratio. Can be used as both an inline and hang-on unit. We didn’t like: Minimalist. Requires a pump, a filter, or a power head to work. Compact but versatile, the AquaTop IL-10 can be installed in-line or used as a hang-on sterilizer. Despite its simple design, this UV sterilization unit delivers good performance. It offers 10 watts of power and is recommended for flow rates of up to 211 gallons per hour. 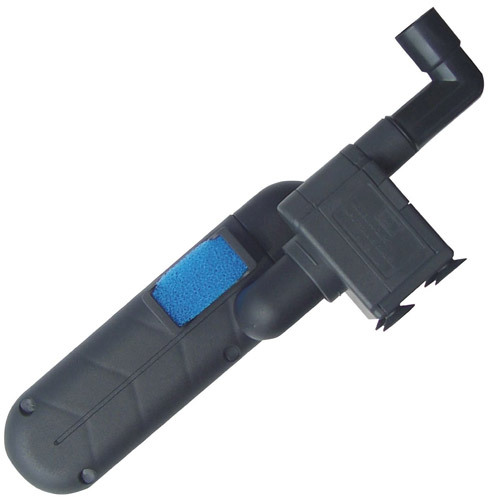 Several fittings of different sizes are included, ensuring a good fit on most pumps, powerheads, or canister filters. We found this water sterilizer to be relatively easy to install, and the 70″ long cable ensures good reach and easy placement. All things considered, it’s an extremely simple unit. 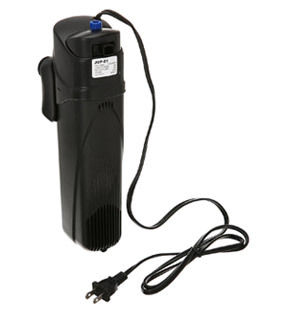 It doesn’t have its own pump or powerhead, and can only be used as an extension of pre-installed aquarium equipment. Still, the price doesn’t imply otherwise anyway. 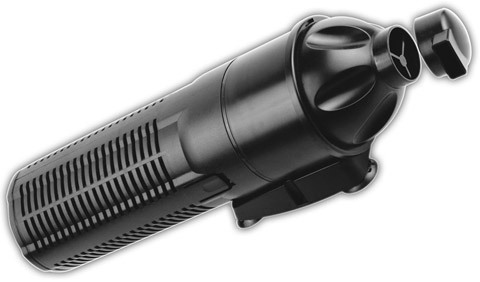 If you need a simple UV bulb without any of the clutter, the AquaTop IL-10 is a solid choice.